CHARLOTTE, N.C., Oct. 29, 2018 /Christian Newswire/ -- Crisis-trained chaplains with the Billy Graham Rapid Response Team are on the ground in Pittsburgh following Saturday's mass shooting at the Tree of Life Synagogue in the Squirrel Hill neighborhood. According to news reports, the attack claimed the lives of 11 people. Several more were injured, including police officers who engaged the shooter in their attempt to apprehend him. "We're there to offer prayers, condolences and support to those impacted by the tragic shooting at the synagogue in Pittsburgh," said Josh Holland, assistant director of the Billy Graham Rapid Response Team. "We are fervently praying for those who are grieving from this senseless act of violence." 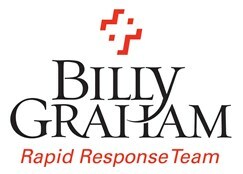 The Billy Graham Rapid Response Team was formed in the days following the terrorist attacks of Sept. 11, 2001. Since that time, the crisis-chaplaincy ministry has come alongside and supported survivors following dozens of shooting-related tragedies and terror attacks in the United States and abroad. Franklin Graham, president and CEO of the Billy Graham Evangelistic Association, appealed for prayer on his Facebook page, saying, "We need to pray for the victims of this hate crime and for the loved ones of those who were killed." In addition to the response in Pittsburgh, the Billy Graham Rapid Response Team currently has chaplains in multiple areas across the southeastern United States following the incredible devastation of Hurricanes Florence and Michael, including New Bern, Jacksonville and Wilmington, N.C.; Horry County, S.C.; Albany, Ga.; and Wewahitchka, Fla.